Writing novels, writing music and lyrics – they go hand in hand. I’ve always admired lyricists and songwriters who can write a beautiful line, add to it and suddenly a gorgeous poem arises, telling a story – all under three minutes. I’m absolutely convinced that the same amount of effort goes into writing a three-minute song as does a 70,000 word novel. Ed Sheeran: a twenty-six-year-old English singer and songwriter who has not only become a worldwide phenomenon, but taken over my world. I must admit, I’ve been a little late at recognising the immense talents of this guy. I’d heard of Ed Sheeran but if somebody had asked me to name one of his songs I would’ve been stumped. However, I did recognise one of his songs when it was played on the radio. I’d been listening to the song, but then walked away from hearing it completely finished. Why? Because something about the words and the way it was sung was just too raw and emotional. The song tugged so hard at my heart it almost became unbearable. The song was Thinking Out Loud. One day something changed. I stopped, listened right to the end and realised what a great song it was. What else did Ed Sheeran sing? Before long I was checking out his music on YouTube and then I knew what everybody was on about. Soon I couldn’t get enough, listening to everything he sung. Yip, almost stalking like. There were some songs I liked better than others, but overall I was very impressed, and hooked! Not only does Ed write and sing his songs he collaborates with other artists too. Soon I had 17 of Ed’s songs downloaded onto my iPod. Galway Girl became one of my favourites. Here the upbringing Ed had that crisscrossed over to his Irish family connections became evident. 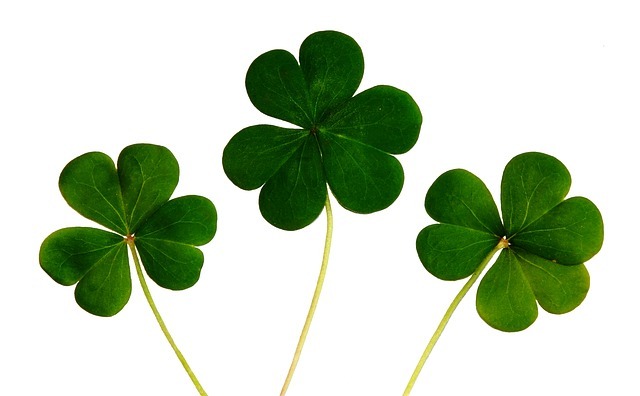 And I’m a sucker for anything Irish (my great-grandparents were Irish). Like most songs, hear them once and you get a picture of what the song is about. The more I listened to Ed’s songs the more his songs took on a deeper meaning. When a singer affects me that much I need to know more about them in terms of what inspired them to write that particular song, where were they in their life or was the song about some place, someone or some thing? 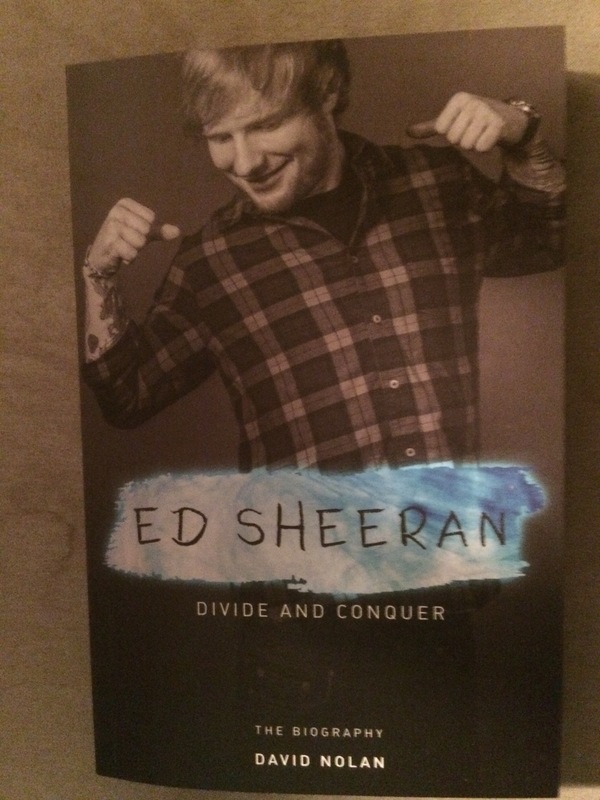 So I found what I thought looked like a good biography, Ed Sheeran: Divide and Conquer by David Nolan, and devoured it wanting to know more about Ed. Overall Nolan’s book is a good introduction for someone who knows little about Ed. When I read this I couldn’t help think how much this had related to my writing journey. Oh, how many times I’ve wanted to give up on my writing? Everything from being too ill to write, not being able to get a scene exactly right, the words just not jelling, drowning in editing hell, etc etc but I persevered, kept going and never gave up. Ed’s never giving up because it wants to get better and I’ll keep writing because I’m passionate about it and every time I write I hope that I’m getting a little bit better. I self publish and I’m proud of it. Writers who self publish can sometimes get a bad rap, but the thinking is changing. Why do I self publish? To basically have control on the whole writing, publishing and marketing process. Without someone saying, “write your story this way”, “this cover would be better”, “you can’t write a love scene like that” or “you can’t have that happen in a romance”. There are rules which I recognise and respect and I listen to feedback, but then I trust my instincts and do it my way. Have I failed? Oh, yeah. But I don’t see these as failures. They’re just learning opportunities. The ability to learn that telling your story from the right point of view is critical, that editing need not be torture, that having some kind of conflict in each chapter keeps things alive and that social media will not sell your books. Success is how you define it – sales, reviews, seeing your work in print. I know I’ve succeeded; I wrote a book, I published it, received reviews and sold a few copies. I did what many people say they’ll do and never do. I wrote a book. Have I sold lots of copies? No. But to me that’s not how I define success. I’m happy so I must be successful. Right? Thanks Ed. Your music and songs have given me a lot of think about; they’re right from the heart, true and real, memorable, singable and fun. I look forward to many more years of listening to your amazing music. Is there an artist who has made a big impact on you or has values similar to your own? Back to success. You are so right in considering yourself successful and basing that on what you define success to be and not what other tell you it is. You’ve accomplished tons more then others and done so much of what others just talk about doing. And, you’ve done it well. You’ve written, you’ve published, you’ve taught and now you’re traveling. 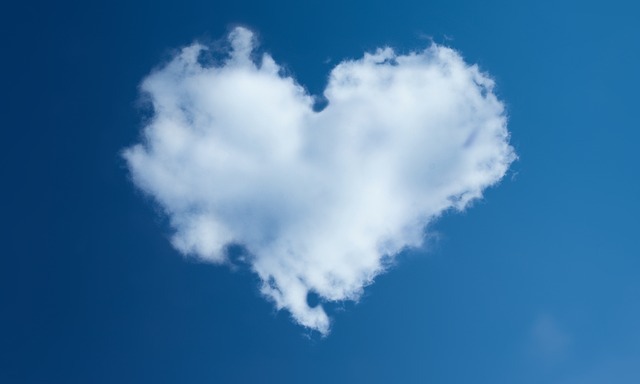 Most of all, you love sharing and inspiring: In writing, in teaching and in traveling. And in pointing out the messages and inspiration in music. Thanks for your kind words; they’re very thoughtful. And, of course, you can write the next chapter! Go for it! I’m glad you enjoyed reading the post. I can see why you like Avril Lavigne. There’s a song ‘Let Me Go’ that she does with then-husband Chad Kroeger which I love.